Peri Mackintosh is a psychotherapist and multi-disciplinary artist. 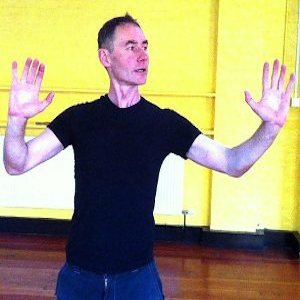 Peri has 40 years experience of meditation, mindfulness, martial arts and embodied awareness practices. He pioneered the use of mindfulness-based movement and music orientated therapeutic workshops in residential mental health units in the early 1980′s. He began training in Judo in the 1960′s then vipassana, Zen meditation, and Hatha Yoga in the early 1970′s. He studied at the Laban Centre for Movement Studies and the London Contemporary Dance School and performed, choreographed and composed for theatre and television. A black belt, he trained and taught Aikido and Kashima Shin Ryu sword work for over 25 years at Goldsmiths College, University of London and in Japan, USA and Norway. He has also studied Tai Chi and Alexander Technique. He is a member of Ambient Jam a unique programme of movement, music and sensory based work with adults and young people who have profound and multiple disabilities..
Peri is the creator of Freeforming Contact Meditation and is the co-author with Paul Barber of the Freeforming; Connecting Without Words in Continuity and Change: Gestalt Therapy Now Editors: Dan Bloom and Philip Brownell, Cambridge Scholars Publishing 2011. I hope you are well. Thanks for your message. 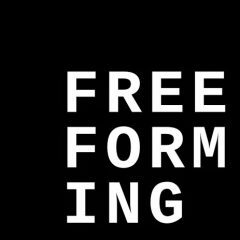 I looked at the website and the video on freeforming. I enjoyed watching you swing your stick! I’m getting stuck into Zen meditation with the London Zen Group and still teaching at the Actors Temple. I even found time to do a play recently. Enjoy the sun and very best wishes for your practice. I really enjoyed your post. Its always nice when you read something that is not only informative but entertaining. Excellent. I giggle as I realise I wrote ‘freefalling’ above instead of ‘freeforming’!!! Well, I wonder who Freud would have to say about that!!! !